Queen Anne's Revenge: behold my awesomeness! No, seriously, I caught the evil varmint on the second try. 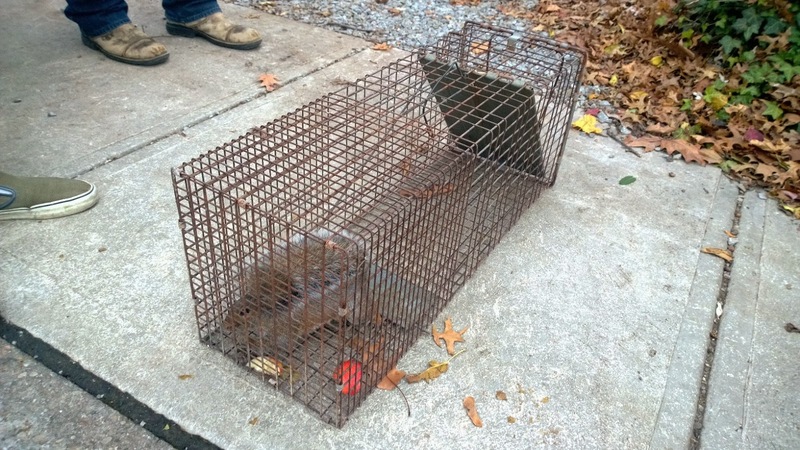 Now, whenever someone asks me to "guess what," I reply by dancing around wildly singing "I caught the squirrel." 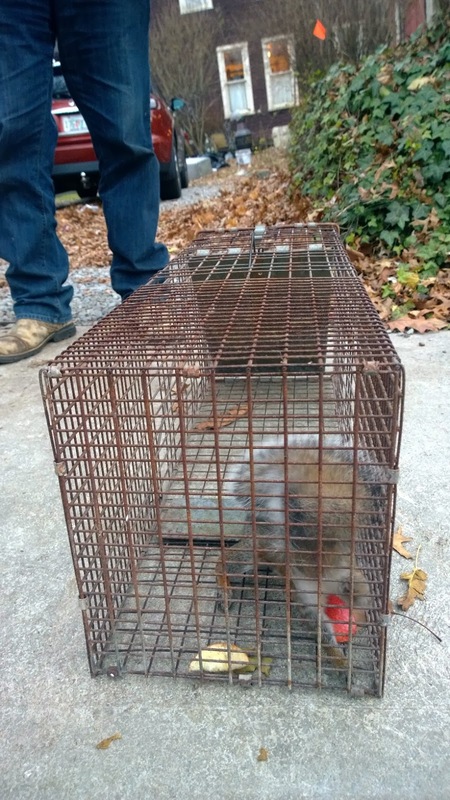 This is the squirrel that had made it's way into the tiny gable over our living room bay window, no doubt the descendant of Sparky the mummified electro-squirrel, and neighbor to the raccoons that desecrated our attic eaves. She was loud, and her noises of destruction were unnerving to say the least. Now that I've caught her, I'm obviously an expert and qualified to give advice on trapping your own demonic sprites. 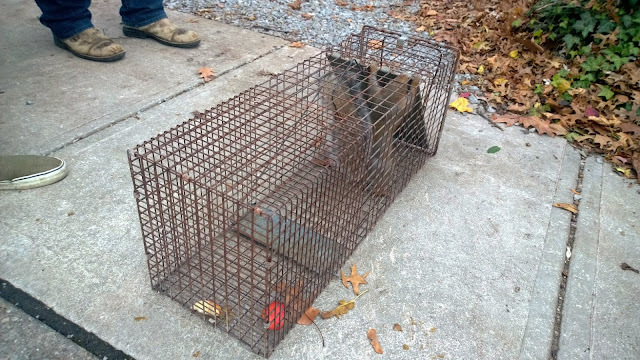 First thing is to dig out the rusty bear-sized hav-a-heart trap from the basement that came with the house. Next you spend a few hours trying to figure out how the damn thing works. Then, once you figure that out, you realize that you should lubricate all the joints so it springs faster. Being that you're lazy you put it out the next morning without doing any work to it, baited with an apple and peanut butter. The heinous wretch then waves and thanks you for breakfast an hour later. When I set it the second time (at the bottom of the dogwood she uses) I liberally smeared peanut butter all over the trigger plate, and set it to have a hair trigger. I looked out a few hours later and saw the evil beasty sitting on top of the trap. Thinking for sure she had tripped the trigger from the top I went back out to reset it, and behold, angry squirrel! After telling her all the horrible things I was going to do to her I realized that she didn't understand English, which took all the fun out of it, so she went for a ride to a friend's piece of property many miles away. So glad you did the humane thing and released it. The floating seed trap for chipmunks is cruel. They drown from exhaustion. There are kinder ways to deal with nature, and you seem kind. 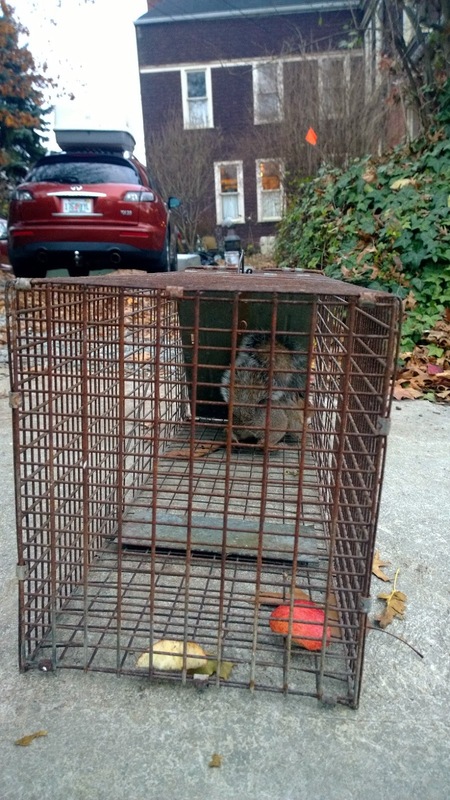 As amusing as the thought of chipmunks walking the plank is, it's best left to the imagination - I haven't even been setting the squirrel trap for fear of accidentally letting a squirrel freeze before I noticed it.